When was the last time you heard of a teenager having a heart attack, mini-stroke, or suffering pulmonary hypertension? Probably not recently, since these injuries are very rare in young people, but may have occurred if they were taking Xolair, an asthma medication that was recently flagged by the U.S. Food and Drug Administration (FDA) for its potential to cause a number of serious and life-threatening cardiovascular injuries. In light of a recent label change on the drug that was prompted by a five-year safety review, the attorneys at InjuryBeacon.com are eager to speak with anyone who may have experienced these serious side effects, and are now eligible to file a Xolair lawsuit. If any of these sound familiar, the attorneys at InjuryBeacon.com are urging you to call the following number for a free and confidential Xolair lawsuit evaluation: (888) 994-5118. You may be entitled to compensation for out-of-pocket medical expenses, lost wages, pain and suffering and other damages. Before the FDA adjusted Xolair’s label in September 2014, the injectable asthma medication was on the market for many years as a means of treating patients 12 years and older with moderate to severe persistent asthma that is not well-controlled by inhaled corticosteroids. The drug is also approved to treat chronic idiopathic urticarial, a condition referring to chronic hives, in adults and adolescents. The FDA opted to adjust the “Adverse Reactions” section of Xolair’s warning label in September 2014 to warn about its potential to cause cardiovascular and cerebrovascular problems. 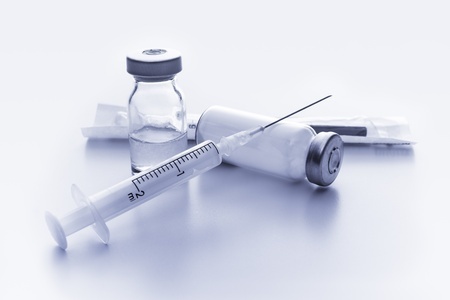 The injectable asthma medication’s safety was first called into question in 2009, when the FDA announced it was reviewing Xolair after interim results from a five-year study conducted by Genetech, the drug’s manufacturer, linked its use with heart problems. The FDA’s review looked at the findings obtained by Genentech, as well as 25 other clinical trials that tested Xolair alongside a placebo. When the review wrapped this year, its findings revealed a serious safety risk, but were “unable to definitively confirm or determine the exact increased level of these risks with Xolair.” The FDA advised health providers at this time to routinely monitor each patient’s disease severity and need for asthma control, and assess whether it necessitates continued use of Xolair. Individuals taking Xolair have also been told not to stop taking the drug, unless doctors have advised them to do so. Xolair Attorneys are Standing By. Xolair attorney firms throughout the U.S. are watching closely as the FDA continues to investigate safety effects of this asthma medication. Patients who experienced mini-strokes, pulmonary hypertension, heart attacks and blood clots are advised to speak with an attorney at InjuryBeacon, who can speak further about the benefits of filing a Xolair lawsuit seeking compensation for lost wages, pain and suffering, emotional distress, medical expenses and other damages. Speak with someone directly when you call: (888) 994-5118.